Steep and flowy. Twisting and turning. Technical and smooth. A destination location for riding. 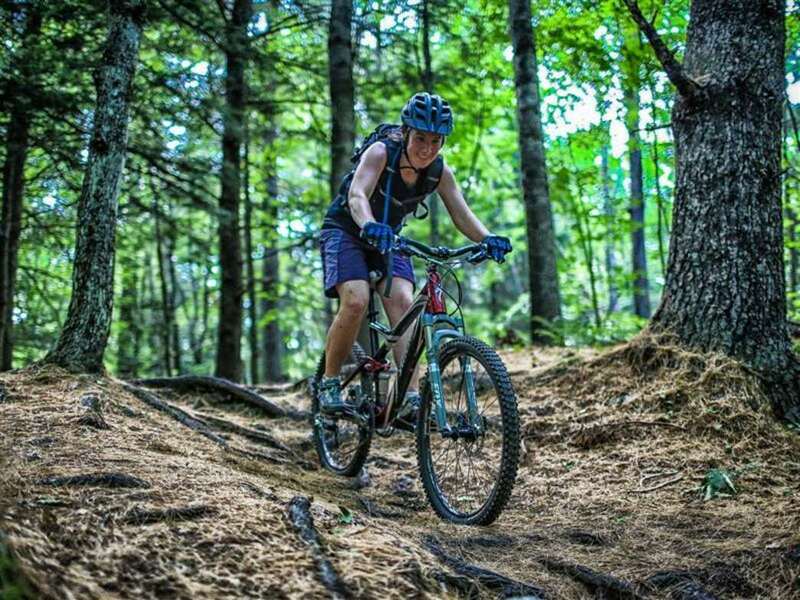 Cady Hill Forest is located right in the heart of Stowe Village and offers 11 miles of multi-use trails offering a combination of machine-built and old school singletrack. The trails are a good mix of steep and flowy, and technical and smooth. The multi-purpose trails have something for everyone and are great for hiking, biking, running, hunting, Nordic skiing and snowshoeing. This 258-acre parcel of land, once made up primarily of pasture and cropland, was conserved in 2012 by the Stowe Land Trust in order to provide perpetual, public outdoor recreational use and to protect biological diversity and important wildlife habitat. Ownership was then transferred to the Town of Stowe, who along with the Stowe Mountain Bike Club, maintain the trails. Cady Hill is easily accessible living right along the mountain road in Stowe. 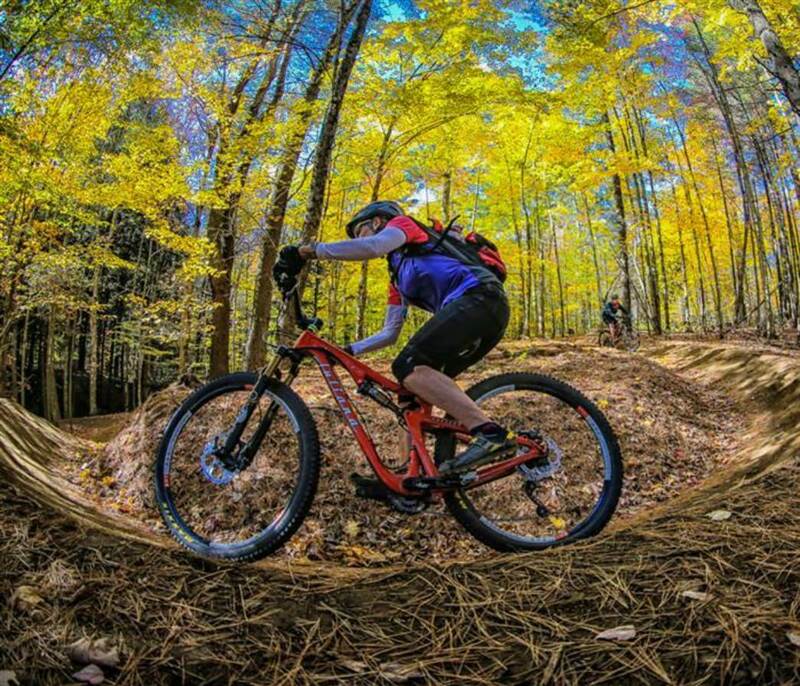 And, its trails offer such a variety of steep, rocky, flowy and smooth that riders of all abilities will be challenged and entertained all day. In addition, there are great maps of the area and all the trails are well marked with kiosks at every intersection. Let the trails speak for themselves. The newest trails built in 2014, Flo and Snake, have caused quite a buzz. Climb the partly machine-built Snake, that, not unlike its name, is “snakey” with lots of twists and turns. Once at the top prepare yourself for an epic mile-long smooth and fast ride down Flo. Built specifically for mountain biking this is a downhill trail only that drops 300 vertical feet from top to bottom and is full of corners and banked turns. 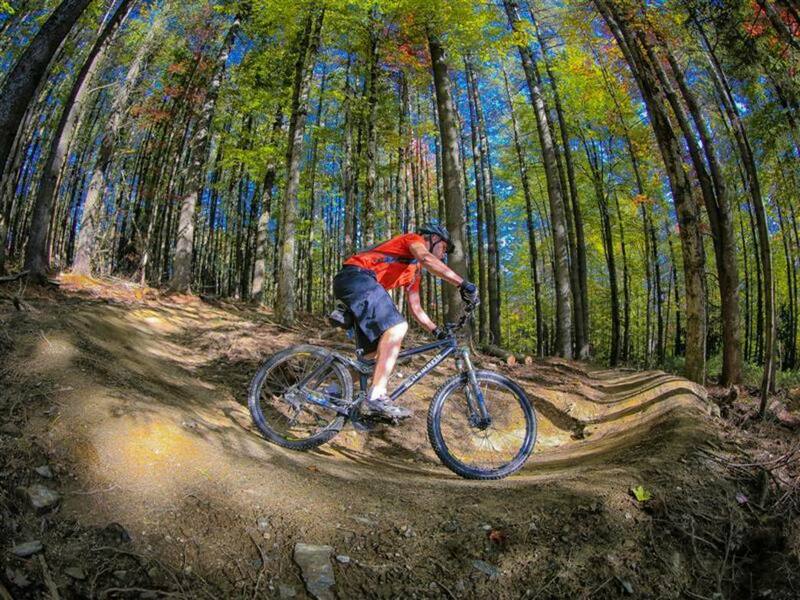 Or try out an old favorite and climb up Cady Hill Climb from the parking lot to Bear- a fast, flowy, fun downhill-only ride, specifically designed for mountain bikes and full of rollers, berms and bridging- which takes you back down to the lot. Bridgey is also another favorite where riders will be more challenged technically with rock slabs and a variety of bridges. Before heading down Bear, be sure to stop at the Green Chair Overlook, a lift chair hanging alongside the trail where riders can take in the views and take advantage of a great photo opportunity. 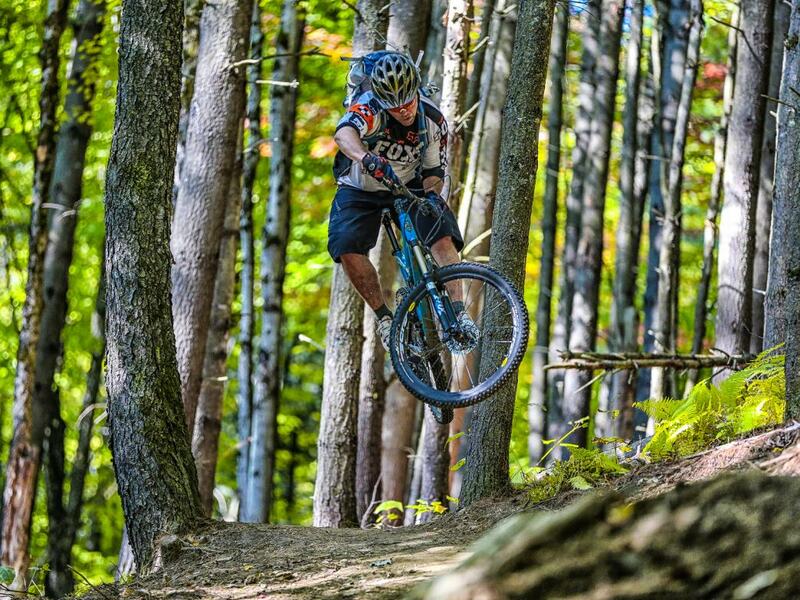 Cady Hill also provides access to the numerous other trail systems in Stowe, including Trapp Family Lodge, Pipeline and Adams Camp so riders can make their outing as short or as long as wanted. Information on the different trailheads can be found at the Stowe Mountain Bike Club and maps of the areas can be purchased at a variety of local shops. Cady Hill offers so much variety that both advanced and beginner riders alike will have fun. Advanced riders will love the speed, flow and technical challenges many of the trails offer, while beginner riders will feel comfortable on the smooth, machine-built trails. For riders looking for cool photo opportunities along the way, the surrounding forest and the Green Chair Overlook provide many. Park in the Cady Hill Forest Parking lot, .8 miles North on Rte 108 (Mountain Road) from Rte 100. Room for 19 cars. Free. Open all hours.